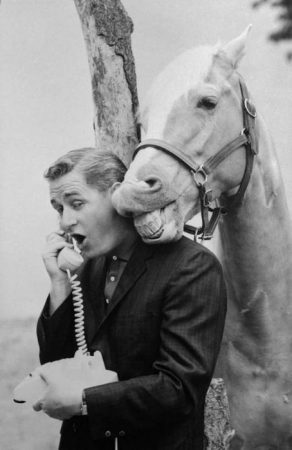 Alan Young, who played Wilbur Post on Mister Ed – the classic 1960s TV sitcom about a talking horse – has died aged 96 at the Motion Picture and Television Home in Woodland Hills, California, reports The Guardian. Born in Northumberland to Scottish parents in 1919, Young emigrated to Canada as a child. During his high school years he hosted a CBC radio show. He married in 1940 and had two children, before moving to New York in 1944, where he began hosting The Alan Young Show on NBC Radio. 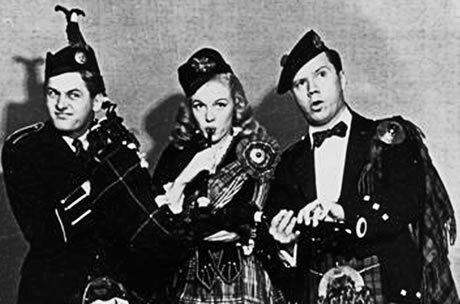 In December 1946, the now-divorced Young met a young Marilyn Monroe when she promoted his show in highland dress on a Rose Bowl float in Los Angeles. They later went on two dates, as he recalled in a 2012 interview with Scotland’s Daily Record. On their first date, Young picked her up from the house where she was living with family friend Ana Lower. He remembered that Ana seemed ‘suspicious’ of his intentions. Norma Jeane (as she still called herself then) explained that Ana was a devout Christian Scientist – a faith she and Alan also shared. Their second date ended in disaster, as Alan tried to kiss Norma Jeane as she was turning her head away, and ended up kissing her ear instead. “I was so embarrassed about it that I never phoned her again,” he admitted. He made his screen debut in Margie (1946), at Marilyn’s home studio of Twentieth Century Fox, and later appeared alongside Clifton Webb in Mr Belvedere Goes to College (1949.) He married Virginia McCurdy in 1948, and they had two children. 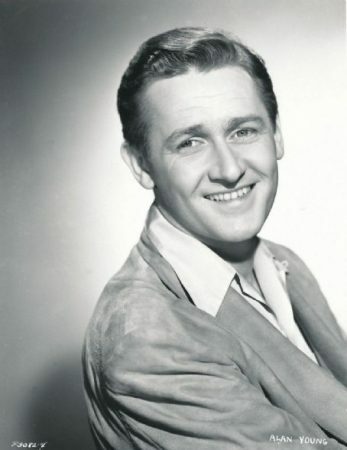 In 1950, The Alan Young Show moved to television. Young’s most famous role, in TV’s Mister Ed, began in 1961 and ran for five years. Afterwards, he continued making guest appearances in numerous television shows, movies and as a voice actor for cartoons and video games. After nearly fifty years together, Young and McCurdy were divorced in 1995. He married Mary Chipman shortly afterwards, but they divorced two years later. He returned to the stage in a 2001 revival of Show Boat, and his final credit was in 2015, as the voice of Scrooge McDuck in a series of Mickey Mouse shorts.